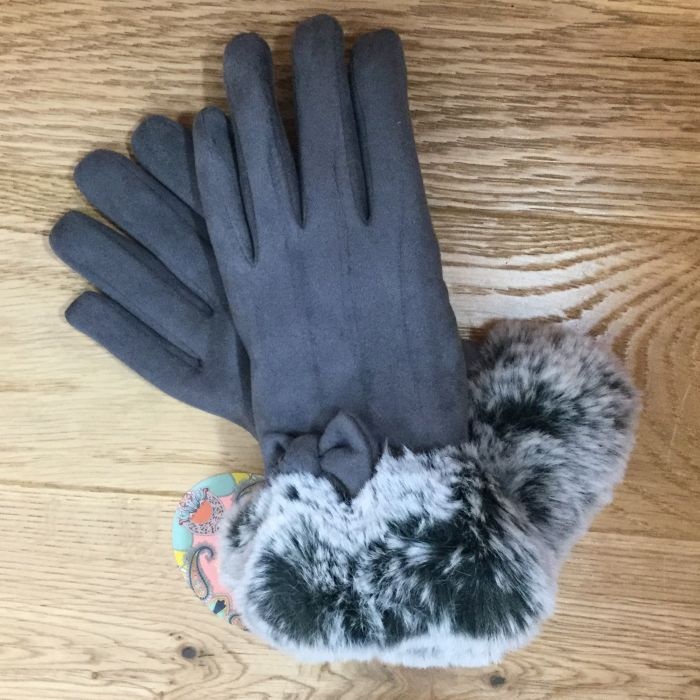 Brighten your outfit and keep your hands toasty warm with these faux suede gloves in a deep charcoal with faux fur surround at the wrist. Designed in Scotland by Edinburgh-based Powder, the gloves will make a perfect present or as a treat for yourself. With complimentary packaging, the gloves will make a perfect present or as a treat for yourself. Size: One size, in faux suede fabric.